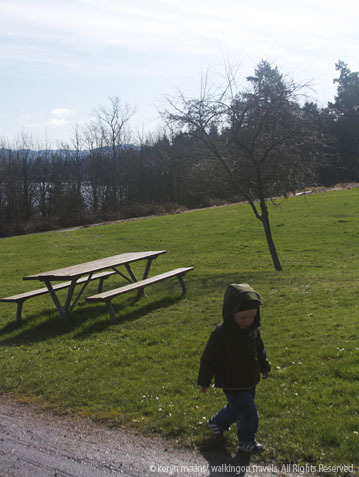 Playgrounds are supposed to be simple. Slide, a few swings and something to climb, that’s it. They aren’t supposed to make you wonder how the heck you get into the action. God forbid they make you use your brain. 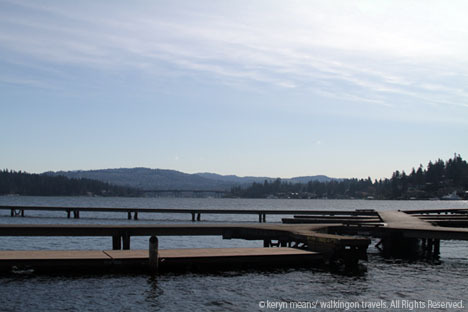 And yet that is exactly what happened when we headed just outside of Seattle to Luther Burbank Park last week. Nothing could have been cooler. 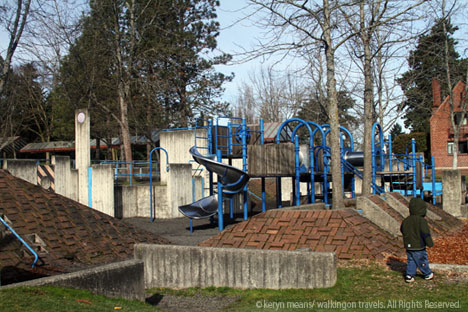 When we first walked up I thought, “OK, cute playground. 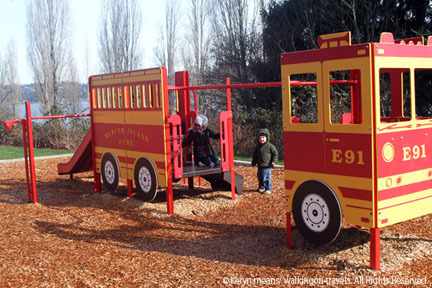 Fire truck, slide, swings, some digging things. Kids will be thrilled.” Then we got closer. Half of the playground was straightforward, the other half not so much. Dek ran up to the fire truck and hopped right in. He loved (and I mean LOVED) the digging tool he could sit on. We completely bypassed the separate area with swings just because the other equipment was so intriguing. 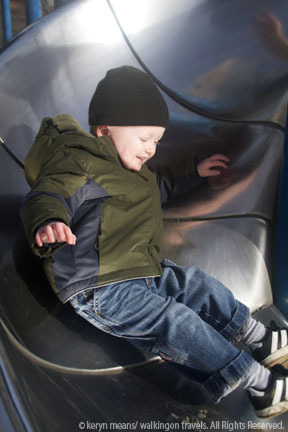 My friend Nic’s son El was the first to tackle the more complicated half of the playground. I’m still not sure how he made it in there. A secret tunnel probably, because you know, it did have a few of them. Those of us who had already hit our growth spurt had to jump down into the lower level. A dream come true to a pregnant mom I assure you, especially when Dek needed a hand getting down as well. The kids could scramble up the jungle gym pretty easily, but there were only so many spots that little legs could get up. Older kids, say 7 or 8 year olds, would be able to take advantage of some of the trickier ways to climb up, like the fireman pole. The gym was pretty high up too; much higher than any playground I have every visited. It was hard to give Dek a hand. He was challenged to figure out things on his own. Nic’s daughter Lee decided to take up residence in a tunnel and would not come out. Nic and I just looked at each other and shrugged. No way would we fit up there. El, meanwhile was checking out the slide. There were no steps. There were just bricks laid out in different depths so a kid could get a foothold. At 4 years old El didn’t have much of a problem. Dek was a different story. After walking around the slide a bit I did find something that resembled steps that Dek could climb. Once he was up he had no interest in going down. How typical. Instead he had to check out a ladder that descended into a tunnel. A tunnel mind you that was too short for me to fit into. This puzzle of a space captured our attention most of the morning. 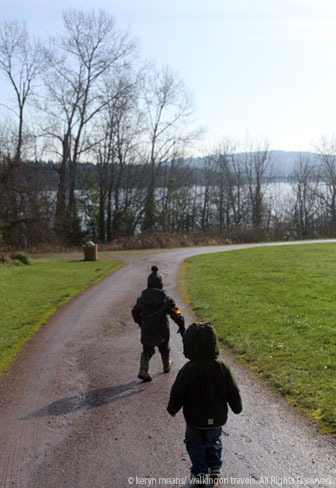 We took a little walk down to the water to say “Hi” to the ducks, but the kids were pooped. 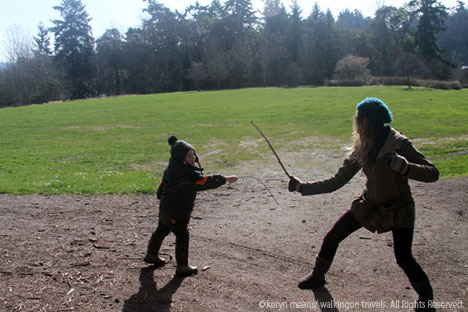 After a quick sword fight in which Nic was severely beaten by her son El, we all headed home. I left feeling like we had barely cracked the surface of this play space, something I have never felt before. It was a weird feeling, but not a bad one. It’s nice to know we have a place to go back to and explore some more. The designers of this space definitely knew how to capture their users attention and keep them coming back. Bravo! Seeing this post is such a wonderful blast from the past! 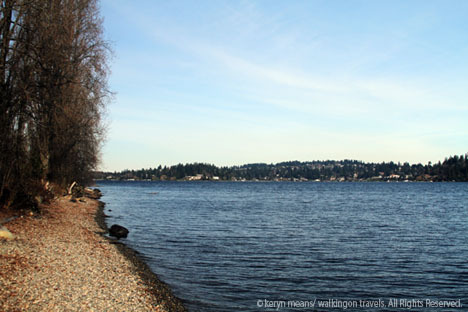 I was born in Mercer Island and some of the fondest memories of my life are from times spent at Luther Burbank Park when I was about 3-4 years old, playing in that playground or feeding ducks at the docks. That was in ’80 & ’81. I’ve been back a couple of times as an adult and there is definitely something very evocative about that place. Enjoy! These days I’m pretty far away, in FL. Luther Burbank was my very favorite place when I was growing up. The original play structure that was built in (probably the 70’s) was a winding puzzle of a wooden castle that was endlessly fascinating. 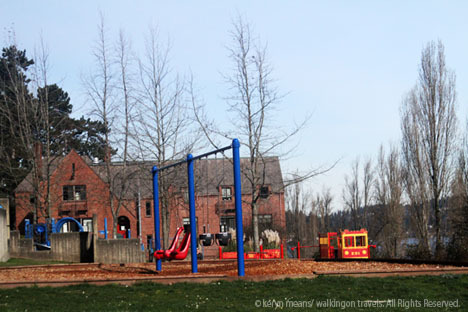 The one that the OP played on was a newer iteration and still pretty good, but it was disconnected from the surrounding concrete portions of the playground. Unfortunately, around 2013, the MIPA decided that this playground was “outdated” and had “reached the end of it’s useful life” so they raised an exorbitant amount of money to replace all of the interesting playground equipment with new, “state-of-the-art” plastic stuff. They apparently thought the place was a death trap too so they sprayed the ENTIRE PLACE (including the original, unique, brickwork pyramids) down with rubber and put down a squishy padded rubber floor. All of the remaining architecturally interesting and imagination-fueling features of the original concrete playground have been removed, barred off, or filled in so they are no longer accessible. Only one “tunnel” remains open. I take my kids there occasionally when we visit my dad on the Island, but it’s no longer a memorable place. They’d rather go to the Dragon Park. Oh well, I’ll always have memories of it. The rest of the park is still fun to explore, though!